StoryBe elegant, not flashy for this New Year bash! Who doesn't like to look good? Every one of us loves to look good, especially women. You must have heard a girl saying "I have a party tomorrow but I have nothing to wear!" but in contrary, she has a wardrobe full of clothes. Girls stand at the top when it comes to impressing someone and in order to impress people these days, you need to look your best. You use your best sense of fashion to look good. You go out shopping, buy new stuff, and in such situation, you can easily become the victim of flashy dressing and fashion faux pass. 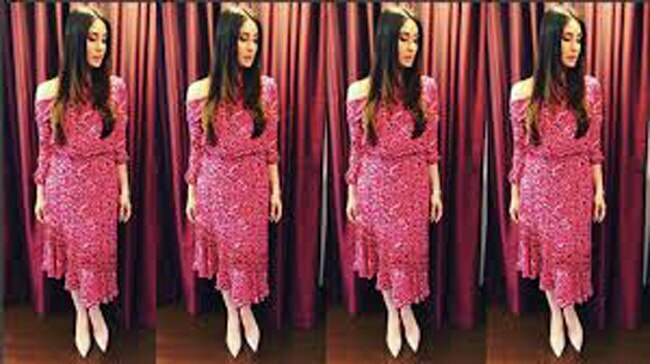 But not this year... Bid goodbye to 2018 with an extra elegant dress Tanvi Malik, Co- founder of FabAlley and Indya have listed down few steps which you need to follow to make a grand entry into 2019 with the best outfits! o Always remember you are the one who is responsible for your own fashion statement. So always dress yourself as per your comfort. For example, you can kill your style with an ill-fitted shirt or too-tight pants. Even if the clothes feel comfortable, if they don't fit, don't wear them. Always try to mix a print with something tonal or solid colours for a winning combo instead of pairing with another eye-catching print. It gives you an elegant effect! You always run after the word CLASSY! Now-a-days flared and flowy trousers are trending, but if it's going too far and makes contact with the floor, then it a bad fashion statement. Always try to wear clean shoes. You are not among them who will leave the house in mud-covered clothes, so why would you walk outside with dirty shoes? A pair of less-than-clean kicks can ruin your outfit faster than you can click your heels together. A BOYFRIEND BLAZER is a new fashion statement in the market! Dude, it's a trap, don't fall for it. You must be excited to buy a boyfriend jacket but I swear you literally cannot fit into it. If you are thinking that lifting a boyfriend's jacket will automatically give you a chic look, then you are very wrong. What the designers call a "boyfriend blazer" is actually cut in a way that flatters every feminine figure. No matter how romantic you think it is to snuggle in your boyfriend's clothes, wearing it will give you a sloppy appearance. If you are among those who like going towards the venture of fishnet trend, if you choose pieces with simple, solid fabrics and ensure that the pattern of the fishnet tights will stand out -- otherwise things will get muddled, and you'll end up looking like a hot mess! Devangi Nishar Parekh, Creative Director at AZA and founder of azafashions.com also has some inputs to share. Nowadays, bling is in season, and there's surely an elegant way to carry the trend. Black is an all-time favourite for people; so if you want to pair your black dress with something shiny, then the easiest way is to opt for it with any accessory. You can take a shining pair of glittery pumps in gold or silver or a sparkly clutch which can add a magic touch to your little black dress. Metallics continue to reign in 2019, so if you are going to wear a gown in a metallic shade such as rose gold, it is a classy and fashionable choice. Try to pair it with a neutral blouse. It will give you an elegant effect! If you are among those who want that stop-and-stare reaction from others, then go for a fitted sequinned dress or gown; it is the best way to go out. But before that, make sure that the finishing of the garment is immaculate, and that the quality of sequins used is good.